Whether described as documentary, avant-garde or abstract film, Berlin. Die Sinfonie der Großstadt (1927) is one of the most famous portrayals of big city life. 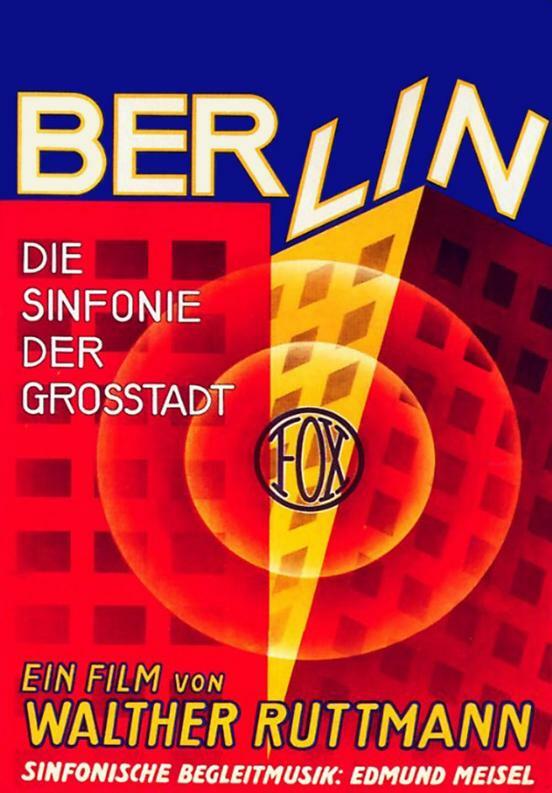 As one of the first co-called city symphonies, the film has become the most famous example of the productive encounter of cinema, urbanism and modernism during the Weimar-period (1919-1933). Berlin simulates the passage of a single day in the life of the city’s masses through visual impressions in a semi-documentary style. We get to see the city waking up, working and relaxing, including several glimpses of the city’s bustling nightlife. Not only is the film worth seeing for its visual spectacle and Walter Ruttmann’s innovative use of rhythmic montage, it is also an invaluable historical record of how Berlin looked liked before large tracts of the city were levelled during the Second World War. In close collaboration with the Orgelpark, VU University’s Media, Arts, Design and Architecture department organises a unique screening of Berlin. Die Sinfonie der Großstadt. The screening is part of a bachelor course on urban culture, in which students and professors in Urban History and Organ Studies explore the design, uses and experiences of historical and contemporary public spaces. Find out more in the Timbres magazine (in Dutch). We have invited Leo van Oostrom (saxophone, clarinet, Gerauschmacher) and David Kweksilber (saxophone, clarinet, Gerauschmacher, accordion) to accompany Ruttmann’s 64-minute masterpiece with live music and sounds, based on the original score by Edmund Meisel. The film will be introduced by film historian Ivo Blom and urban historian Tim Verlaan.